Delicious and fun, this is a wonderful gift for friends and family of all ages! 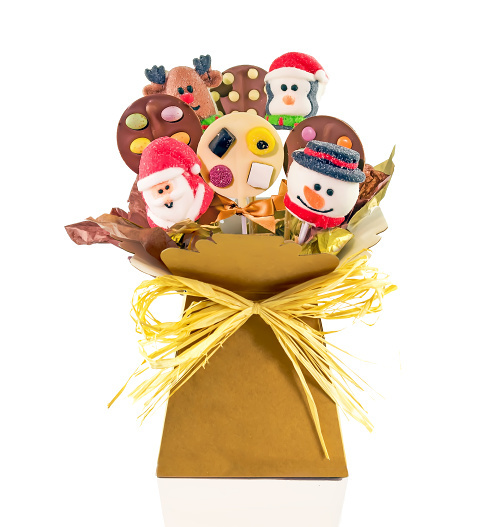 This bouquet includes both chocolate pops and marshmallow pops in the shape of your favourite Christmas characters. Send this lovely gift to brighten somebody's Christmas season!